Hawaii was formed by volcanoes. 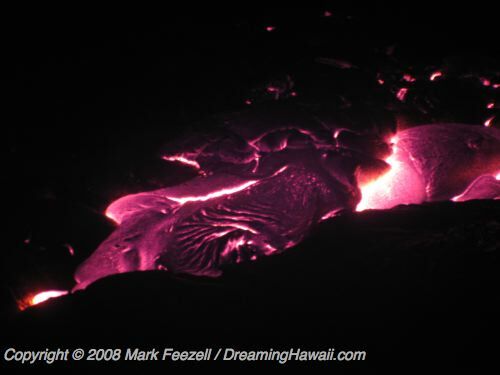 There is a hot spot under the crust of the earth near the Big Island. Geologists tell us that millions of years ago, the island of Kauai was formed by a volcano over this hotspot. Over time the continental plate shifted Kauai to the northwest, and Maui formed over the hotspot. The process continued, forming each Hawaiian island in turn. So the Hawaiian chain runs roughly northwest to southeast, and the most active volcanoes are in the southeast on the Big Island.